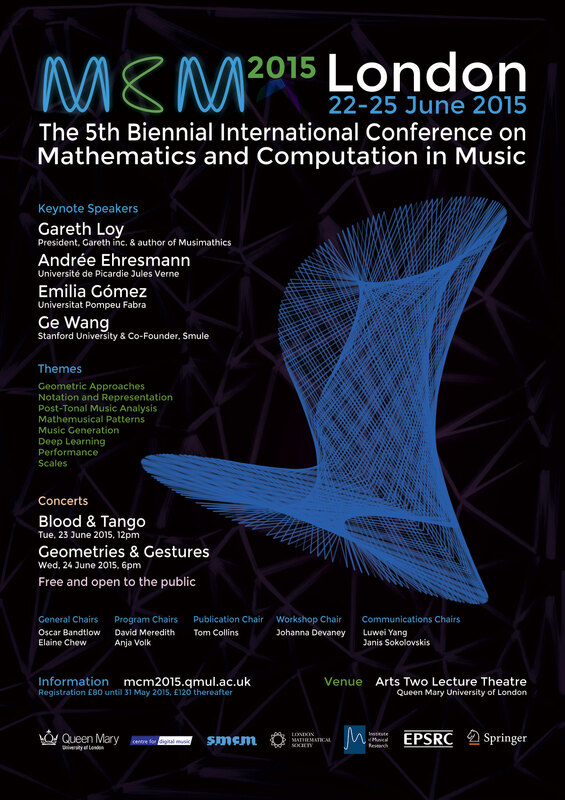 The Fifth Biennial International Conference on Mathematics and Computation in Music(MCM2015) will be held on 22-25 June-2015 at Queen Mary University of London in the United Kingdom. In this conference, I will give an oral presentation on Logistic Modeling of Note Transitions. 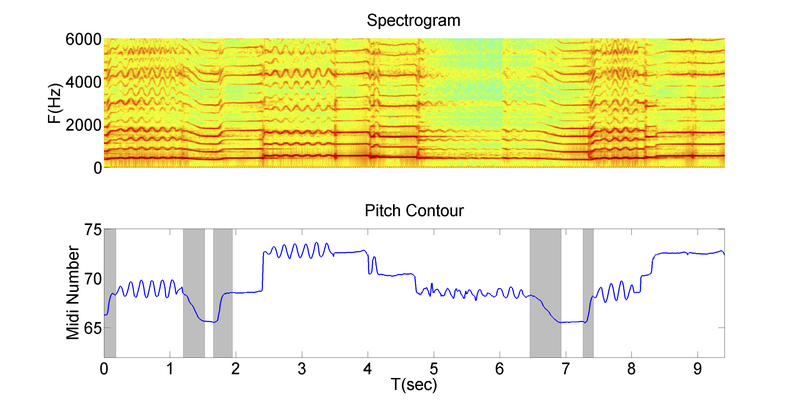 In this paper, I employed the Logistic model to represent the note transitions especially for the continuous note transitions, i.e. portmaneto. 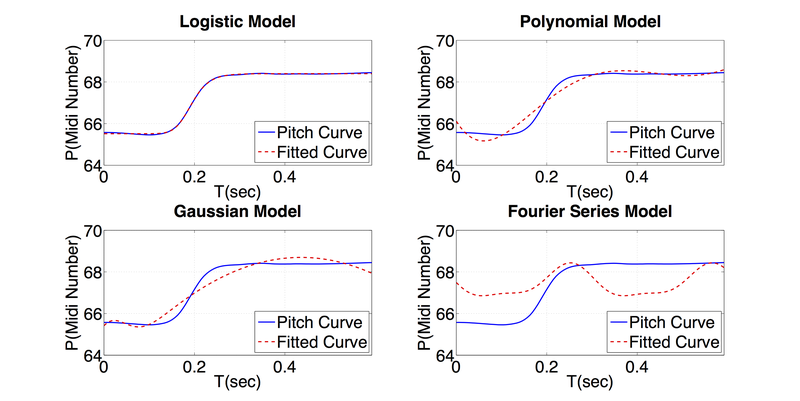 A comparison with Polynomial, Gaussian and Fourier Series modles has been presented to show the outperformance of the Logistic model. A case study comparing portamenti between erhu and violin on the same musical phrase shows transition intervals to be piece-specific (as it is constrained by the notes in the score) but transition slopes, durations, and inflection points to be performer-specific. Please see program details here.